The Heathrow Bears are back in the Christmas ad of Heathrow Airport. This time, viewers get to chance to find out more about Doris and Edward Bear, including their 50-year love story. 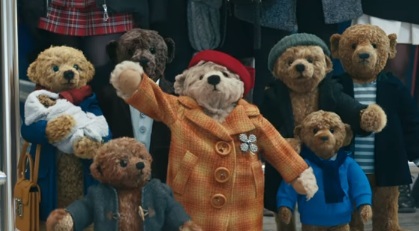 The spot, set to the rhythms of Petula Clark’s “Couldn’t Live Without Your Love”, shows how the two bears met in 1967, while travelling through Heathrow airport, when he was a passenger returning from a business trip and she was a flight attendant, who caught him up to give him his hat. The ad also reveals that, with every Christmas that passed, they grew closer and they ended up by having a large family. A family that has always gathered to meet Edward at the airport and make him feel loved. This is the second year in a row that Doris and Edward Bear are the protagonists of Heathrow Airport’s Christmas campaign and this is due to the “overwhelming response across the globe to Doris and Edward last year”, according to Heathrow’s Commercial Director Ross Baker.